If you are attending the gym and in particular using weights, be aware that this can mark and damage your ring if it is worn. Every month or so, take your ring off, hold it up to your ear and tap on the band to see if you can hear any rattling. If you hear anything, bring your ring into us and we will double check it for you and tighten or reinforce the setting as necessary. Sunscreen, powders, soaps, hand creams etc. will create a film build-up on your diamond, causing it to lose some of it’s sparkle. Airborne chemicals can also slightly oxidize the setting. It is important to regularly clean your ring and to this end, we have provided you with a jar of Jewellery cleaner that can be used on platinum, gold, and diamonds. Simply place your rings in the basket provided and drop into the solution. After thirty seconds, remove the ring and using the small brush provided, gently scrub around and under the diamonds to loosen any dirt and grime. Give your ring a final rinse under warm running water (keeping a tight hold on the ring) again using the small brush provided to dislodge any left-over dirt/grime and pat dry with a soft cloth. White gold rings need to be rhodium plated every 1 to 2 years to return them to their original sparkling best. Platinum, yellow gold and rose gold bands will usually require a clean & polish every 1 to 2 years to return them to their original condition. “Diamonds Are Forever” or so the saying goes. 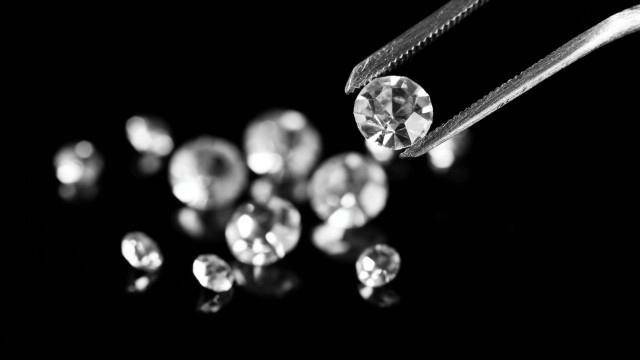 Whilst it is true that diamonds are very strong and can only be scratched by another diamond, they can still be damaged or fall out of their setting without the proper care and attention. A diamond ring is worn on your finger which means it is at the “business end” of your daily activities – encountering everything that you touch or hold. Gold and platinum are both relatively soft metals which make them perfect for crafting jewellery from, but also means that they can easily scratch or be damaged if not given the necessary care. There are generally two schools of thought regarding your jewellery – “I never take mine off – rings are made to be worn” or “I take mine off the minute I walk in the door”. It is up to the individual which you prefer, but the obvious thing to remember is that the more care taken, the longer the lifetime of the ring and the less potential for damage. In reality, even the best made and maintained jewellery will not “last forever”.